Manufacture & Installation of Aluminium & Steel building related products. Address; Access Design & Engineering, Halesfield 18, Telford, Shropshire. TF7 4JS. Address; Andrew Donald Groundworks, 33 Pemberton Road, Admaston, Telford, Shropshire. TF5 0BB. Pattern Imprinted concrete for driveways, patios or pools. Art Print Concrete specialise in installing driveways, patios and pool surrounds featuring Pattern Imprinted Concrete to provide a long lasting and beautiful surface. Art Print Concrete are also fully experienced in Slabwork, Brickwork and Block Paving. So whatever your requirements, Art Print can help. National House Building Company with housing developments in Telford. Barratt Homes was founded in 1958 and is Britain's best-known house builder. Barratt Homes have sold over 300,000 new homes around the UK and are leaders in design, urban regeneration, social housing and innovation. Barratt Homes currently sell over 15,500 new homes a year and are building on developments from Aberdeen to Plymouth, helping to meet housing demand in towns, cities and rural areas. Whether you’re a first-time buyer or looking for a bigger family home, whether you love the bustle of city life or the serenity of the countryside – Bryant Homes have a huge selection of developments and house styles to choose from. And Bryant Homes have a range of easy buying options and offers to suit everyone too. Bryant Homes build quality houses, but clients choose all the crucial details that turn your new house into a home. From door handles to kitchen units, Bryant Homes clients can choose a unique finish to their home from a range of quality products. Timber and Builders Merchant Supplies. Buildbase is one of the UK's fastest growing builders merchants. All of their branches are long established companies which have been serving local trades people for many years, with knowledge and experience to match. They believe strongly in understanding the needs of the trade professional and their business is developed specifically to meet those demands - massive stocks, top quality products, competitive pricing, reliable delivery, specialist staff and exceptional customer service. George Wimpey build a range of homes from one bedroom apartments and starter homes to large detached family homes to suit every taste and budget. The George Wimpey property portfolio displays a surprising diversity and new George Wimpey home developments can be found throughout the country from Cornwall in the South West right up to Aberdeen in Scotland. Local Office; George Wimpey Homes, Chase House, Park Plaza, Heath Hayes, Cannock, Staffordshire. WS12 2DD. Specialist Building company based in Telford. Address; Ground Design Solutions, Brockton Leasows, Brockton, Lilleshall, Telford, Shropshire. TF10 9AG. Ground Design Solutions have over 30 years groundwork experience, which includes but not limited to block paving, drainage, ducting, box building, driveways and gardens and roadways and have worked independently as well as with major companies which include, British Telecom, Telewest, Fujitsu, Briant Homes and Shropshire Homes. Address; Hollybush Road, Bridgnorth, Shropshire. WV16 4AX. 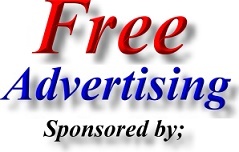 Builders Merchants, Plumbing Supplies and Services in Stafford Park, Telford. Address; Unit 13, Stafford Park 15, Telford, Shropshire. TF3 3AZ. Builders Merchants - Products and services include Plumbing supplies, Tool Hire, Bathroom Showroom, Kitchen Showroom and Telford Landscaping Supplies. Morris Homes have been building award-winning new homes with care and quality for many years. As one of the country's leading independent house builders, Morris Homes know that quality and service counts - every step of the way. This commitment runs through everything that Morris Homes do - from when they purchase the land on which their new houses are build right through to Morris Homes after sales service. Local Office; Morris Homes, Delta House, Pendeford Business Park, Wolverhampton. WV9 5HA. 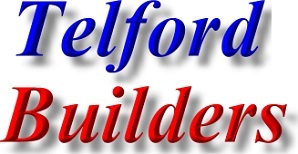 Shropshire Building Company with housing developments in Telford. Shropshire Homes is a Shrewsbury based company whose philosophy is to provide quality homes of distinctive character in prime locations. A number of projects involve the conversion of historic or listed buildings into luxury apartments. Another specialty is small and exclusive developments of four and five bedroom executive houses. Address; Shropshire Homes Limited, The Old Workhouse, Cross Houses, Shrewsbury. Shropshire. Address; Telford Timber Supplies, Unit 18, Hadley Park Industrial Estate, Telford. Best prices & quality on Skirting Boards, Dado Rails, Mouldings, Sheet Materials, Stair Parts, Planed Timber, Sawn Timber Decking, & all components, internal doors and external doors. Also; now constructing major timber buildings to order. 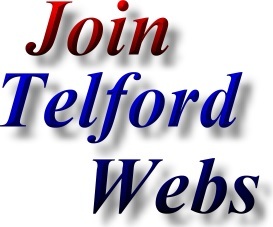 Address; Venture Building Plastics, Unit 44, Ketley Business Park, Waterloo Road, Ketley, Telford. Shropshire. TF1 5JD. Venture Building Plastics are a one stop shop for all of your maintenance free building product needs. Whether you are a trade professional, or a keen DIY enthusiast, you can be sure to find quality products at an affordable price, with a level of customer service second to none. Venture Building Plastics friendly and helpful staff are not only there to serve you, but have been trained to help and advise you in any way that they can. Venture Building Plastics pride themselves in providing a professional and relaxed atmosphere for you to feel comfortable in, so why not go along and browse one of their showrooms. Whilst there you can chat in general about your specific requirements.